So many different Rings to choose from for both Men and Women! Thick and Heavy Band with Diamond set in a Diamond shaped setting. Can't Decide on a Color? Lets do Both! 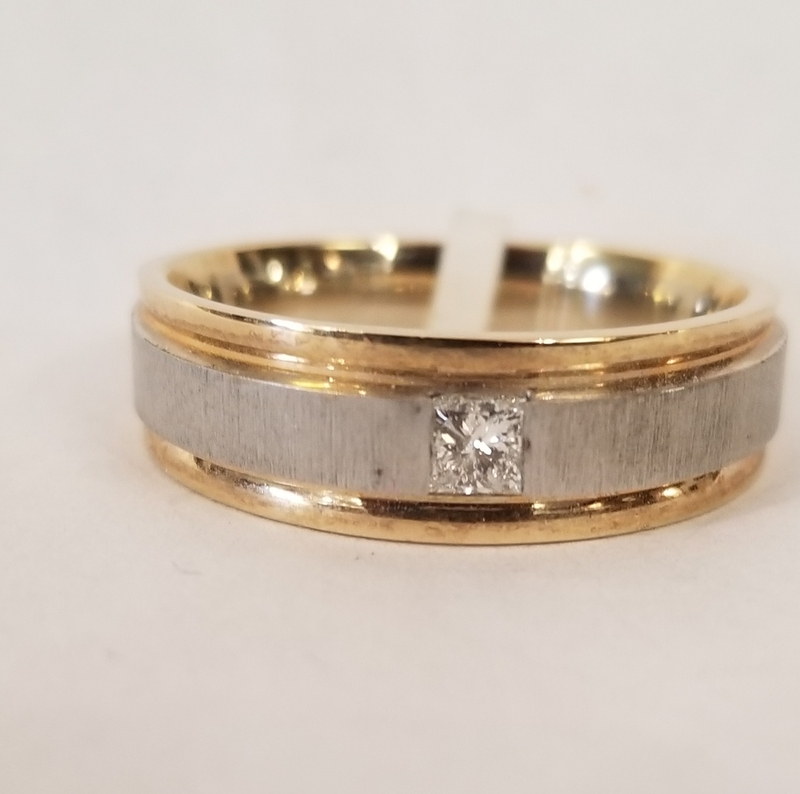 With a simple princess cut diamond inlayed in the band! So many different ones to choose from! Approximately 3/4 carats Total Weight!